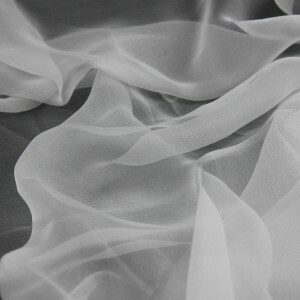 How many times have you called a fabric ‘Chiffon’, only to learn that it is in fact organza or tulle? Fabric confusion isn’t uncommon, and I’m sure all of us have been unable to tell the difference between two fabrics at some time or another. Fabric types and concepts are rich and diverse, and one person’s definition may be different from another. The differences are usually in the weave or in the finish of the fabric, and studying the characteristics of different fabrics will help us identify which is which. So here’s my little guide to commonly misidentified fabrics and should help us avoid fabric confusion in the future! All three fabrics are thin and light. Cambric is also known as batiste, and is opaque and soft. Muslin, made from cotton, is soft, has a plain-weave and a low thread count of around 160. Calico is also made from cotton, but the difference is that it has a tight-weave and that the cotton isn’t bleached or fully processed. So the fabric has small brown dots on its surface – these are from the cotton flecks that haven’t been bleached or over-dyed. 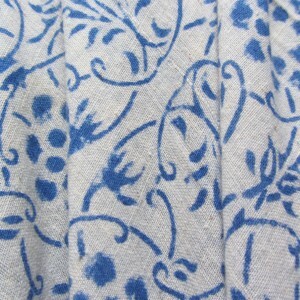 Calico is a low cost fabric so is often used for making toiles in dressmaking. (If you’re not familiar with a toile, it is when you mock up your project before using your chosen fabric to check if the pattern fits your body.) Just to add more confusion sometimes people call toiles “muslins” because they can also be made of muslin! Denim and Chambray are easily confused. Both are constructed with a coloured warp yarn and white weft yarn, so you get a very distinctive colouration – I think this is where the confusion occurs- because they do look very similar! But if you look closely, the weave used in each one is very different. 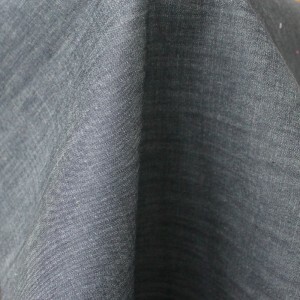 Denim uses a twill construction where one warp thread goes over two weft threads and then under one, creating a diagonal stripe (a very subtle stripe – you do have to look quite close up!). In contrast, in chambrays the warp and weft threads alternate in a plain-weave construction. As a result, one face of a denim fabric will be significantly darker than the other face, whereas it will not be too distinct in chambray. The trick to identifying whether it is denim or chambray? Look at the underside of the fabric. If there is an obvious difference, it is denim, and otherwise it is chambray. TiffanyD illustrates this difference in her blog Denim vs. Chambray …A fun little fashion vocab lesson. Check it out! With a common prefix, it is easy to confuse these three distinct fabrics. Velvet can be made from most fibres, including from polyester, rayon or silk. It drapes well and has a pile that is longer than the other two. It also has a plain underside. Velveteen is usually made from cotton or cotton-blends, lies flat, is stiffer and is less lustrous than velvet. It has a cross-pile construction like in velvet, however, the pile is created with an extra filler yarn instead of two fabrics being woven on top of one, as in velvet. I would suggest you visit this Sew4home article which elaborates the differences between velvet and velveteen, and also gives some great tips on how to work with both fabrics. Velour is also made from cotton-blends, but is knit fabric, so it is stretchy, and this tends to be is the most dense fabric of the three. 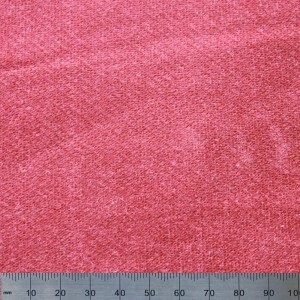 Jersey is the general term for any knitted fabric. This can include fabrics made from cotton or cotton-blends. 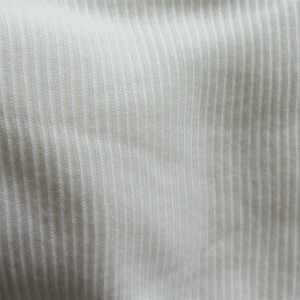 The primary types of jerseys are single or double knit or ribbed. The most obvious difference between single and double knits, is that a single knit has a right and wrong side, whereas a double knit is knitted in such a way that both sides are ‘right’. The right side of a single-knit is indicated by V-stitches, while the wrong side has straight, horizontal stitches. Double knits can also be called interlock fabric, and there are no visible V-lines on it, just ribbing that runs through the length of the fabric. While both single and double knits have lines of knitting running down the fabrics, ribbed knits have a much more pronounced rib. Ribbed knit doesn’t distort and quickly returns to original shape. Single and double jerseys, on the other hand, stretch more and are usually much thinner. For more information and supporting illustrations on jerseys, visit this page Knit fabric and Selection from Miranda at One Little Minute. To put it simply, Satin refers to the construction or weaving process whereas Sateen refers to the specific type of thread (100% spun cotton) that is used in constructing the fabric. In satin weaving, different fibres such as silk, rayon, acetate or cotton are used. The fibres are interlaced on a loom by passing a filling thread under several warp threads and over a single warp thread, so more of the warp threads show on one side. These warp threads reflect the light and so the result is a soft, smooth fabric with lustre on one side (the warp-heavy side). When the fibres used in the satin weave are from 100% high quality cotton alone, the fabric is called sateen. In sateens, the fabric also has a surface made up of mostly weft threads, so the lustre is still on one side. From a distance, there is visually no difference, but if you looked very closely, you’d realise that the sheen was created by the reflection of light on the weft threads, rather than the warp. Taffeta is made from tightly woven silk or silk-blends, is crisp and can be identified by the characteristic rustling sound it makes when moved. 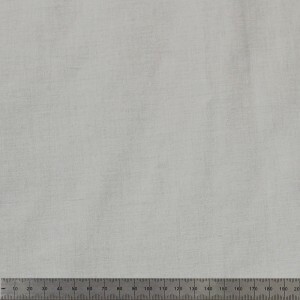 Dupioni is also a crisp silk with a plain weave. Unlike taffeta, which is refined and polished, dupioni has a raw and textured feel. Crepe has a crimped, grainy texture and is created from silk or manmade fibres. Charmeuse is lightweight too, but it is woven with a satin weave (see above) and hence has a lustrous surface with a dull underside. 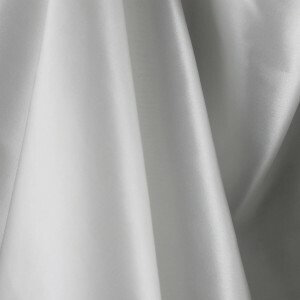 While it is silk a “Satin”, it is characterised by its incredible lightweight and fabulous drape. Similarly, a Dutchess silk is still a Satin, but it is a lot heavier and crisper than a charmeuse. 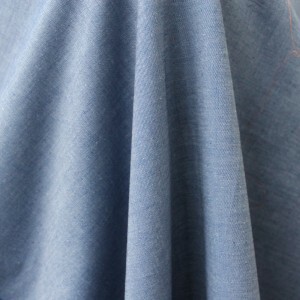 Habotai is the lightest of silk weaves and it is constructed with quite an open weave. The surface of habotai isn’t as smooth as charmeuse. All three of thee fabrics are delicate and gauzy, making them a particularly good choice for wedding attire and evening gowns. 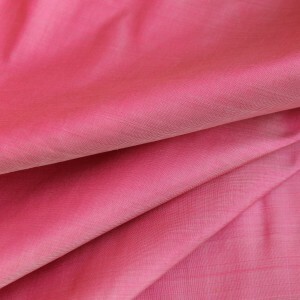 Chiffon is made from silk or manmade fibres. It has a very fine weave, is lightweight and sheer. Organza is also made from silk, but is much stiffer than chiffon. It wrinkles easily and creates more volume in a dress. Tulle is also made from silk or silk-mixes, but this fabric resembles a very fine net. It is stiffer than chiffon, and looser than netting. 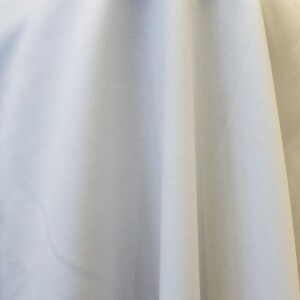 Organdy is mostly made from cotton with a plain weave, is sheer, crisp and lightweight. 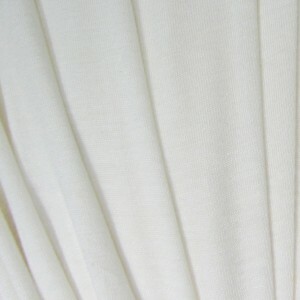 Voile also has a plain-weave construction, but is softer than organdy. 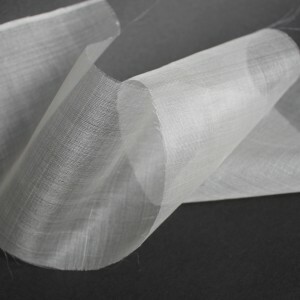 The difference between the two is that long fibres are combed and twisted in the construction of voile, and this makes it more sheer and cleaner in appearance than organdy. Angora fibres are derived from the downy coats of the Angora rabbit. Cashmere is wool obtained from the cashmere goat. 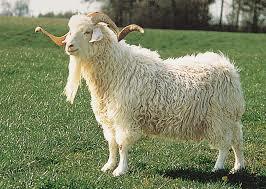 Other fibres from goats include “Mohair“. They may be from the same species, but it they have very different characteristics. Angora fibres are hollow, short and very fine. As a result the wool is ultra-fine, making it softer than cashmere. 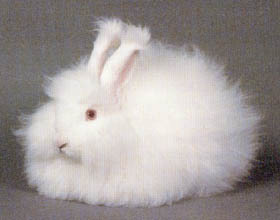 Angora also possesses a fluffiness which makes it lighter and warmer. You can read more about Angora in this article. Only small quantities of wool can be harvested from the animals in both cases, and so angora and cashmere are very expensive. A more in depth comparison between the two is available at Fibre Facts. I do hope this has cleared up at least some confusion. Please do comment below to tell me what other fabrics puzzle you, and I can set to work on demystifying those too! If you like this article, then please do sign up to the monthly mailinglist where I send out all of my recent creations and interesting sewing articles! Also, please do share this using the tweet to share buttons throughout the article and below. A great guide and reference to have! Even I get confused at times, although I’ve been working with fabric for a long time. There’s lots of subtle differences that can trick you sometimes. SO WELL STATED & SO TRUE!!! THANK YOU FOR THE BETTER THAN VOGUE FABRIC DESCRIPTIONS. Wow! You are so so welcome 😀 What a lovely comment! Thank you for this very informative article! 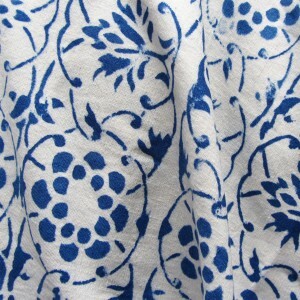 I don’t know anything about fabric and have some sheers I bought years ago from the Bombay Company. They are about worn out, and I’d like to have some new ones made but I had no idea what fabric they are (a combination, apparently). This article has given me a good place to start figuring it out. One note: Please be sure any angora you buy is humanely sourced. If you don’t know why, google ‘angora cruelty video.’ Angora from China is especially suspect. Thank you, this is helpful! I’m making an organza/tulle skirt for a friend. Are some tulles softer and finer weave than others? Thank you Elizabeth for this wonderful detailed post. Very helpful! I specialize in scarves and headwraps. There are certain fabrics that are easier to wrap, knowing the subtle difference between them is important. Thank you! What an interesting and useful guide – thank you! Thank you so much for this post. It was informative and an easy read. You’re a great writer! Thank you so so much! What a lovely comment!